Experimental measurement technologies have been critical to advancing scientific knowledge and to the development of prosthetic heart valve devices. A myriad of innovative measurement technologies has been successfully utilized within in vivo, ex vivo, and in vitro models. Within these models, these technologies have been used to evaluate the function of native heart valves, models of heart valve disease, and prosthetic devices. 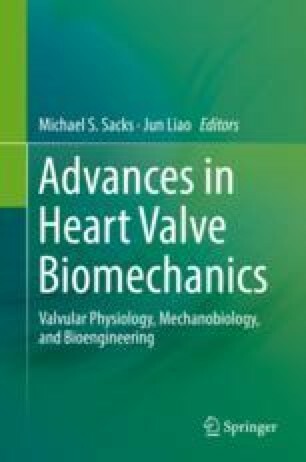 These evaluations have focused on quantifying heart valve geometry, dynamics, tissue deformation, transvalvular flow, and valve and device mechanics. Knowledge gained from these studies has advanced reconstructive surgical techniques, implanted device function, and next generation devices. Understanding the application and relative advantages of these measurement technologies is important not only for scientific research but also in quantifying device function per international standards and regulatory guidance. Laboratories, D. MP3 Pulse Duplicator. 2015 [cited 2015 10/2/2015]. http://dynateklabs.com/mp3-heart-valve-tester/. Labs, V. ViVitro Labs Pulse Duplicator. 2015 [cited 2015 10/2/2015]. http://vivitrolabs.com/product/pulse-duplicator/. LLC, B.D.C.L. Heart Valve HDT-500 Pulse Duplicator System. 2015 [cited 2015 10/2/2015]. http://www.bdclabs.com/testing-equipment/pulse-duplicator-system/. Laboratories, M.I.T. Heart Valve Pulse Duplicator. 2015 [cited 2015 10/2/2015]. http://www.medicalimplanttestinglab.com/products.html. Sonometrics. Basic principles of sonomicrometry. 2015 [cited 2015 10/20/2015]. http://www.sonometrics.com/index-p.html.